From Final Fantasy IX, X, and XI. 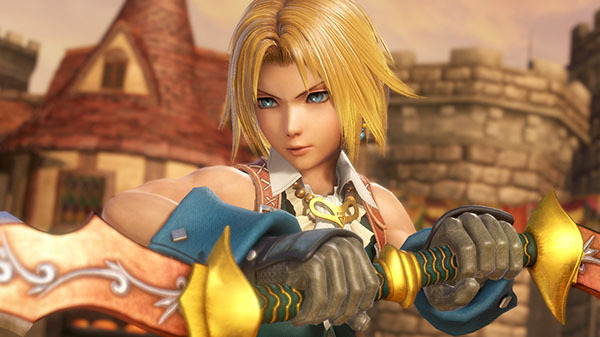 The latest character trailers for Dissidia Final Fantasy NT introduce Final Fantasy IX‘s Zidane Tribal, Final Fantasy X‘s Tidus, and Final Fantasy XI‘s Shantotto. A branded thief from his world, Zidane exudes a cheerful personality with a habit to help those in need. His energy, grace and sharp wit aides in battle especially during midair combat. Tidus is an agile combatant who can easily dodge attacks as he combines using his sword and Blitzball throws to perform damage on enemies. Shantotto is a feared warrior for her frail exterior but aggressive and unpredictable skill in combining her attacks with magic. The more she gains Bravery, the more Shantotto becomes even stronger with her magical spells. If you missed them, previous trailers introduced playable characters Bartz Klauser, Terra Branford, Cloud Strife, Squall Leonhart, Warrior of Light, Firion, Onion Knight, and Cecil Harvey, and non-playable characters Materia and Spiritus.